WeedWeek, 4/21/18: "Is the End of Federal Prohibition Finally Here?" This week on the podcast, Hayley and Alex talk to chef Socrates Rosenfeld, a combat veteran and Army Ranger who started the cannatech company IHeartJane.com. Rosenfeld discusses how cannabis helps veterans, why the Veterans Administration will eventually come around and trying cannabis for the first time at age 29. Read a recent issue here. Subscriptions are US$72/six months ($12/month) and US$120/twelve months ($10/month). Get yours before the price goes up! Recommended: Check out the amazing winners of the World Press Photo of the year. Senate Minority Leader Chuck Schumer (D-N.Y.) introduced a bill to legalize REC nationwide. “Ultimately it’s the right thing to do,” he said. Schumer is the most senior elected official in D.C. to endorse legalization. Slate has a good explainer on how Schumer’s bill fits into other Democratic proposals to legalize, and the rapidly shifting political climate. Following news from Colorado Sen. Cory Gardner (R) that President Trump supports states’ rights on marijuana, the cannabis world awaits a promised bill from Gardner which would codify Trump’s verbal support in law. Democrats seen as 2020 presidential contenders are rushing to back REC as well. New York City Public Advocate Letitia Jones supports legalization (N.Y.Post) and said she would work with Gov. Cuomo to make it happen this year. Cuomo released details (Tom Angell) of New York’s legalization study. Congressman Earl Blumenauer (D-Ore.) delivered a cannabis state of the union speech , which the Washington Post annotated. Along with former house speaker John Boehner (R) joining a cannabis firm’s board and President Trump’s support for state rights, CNBC suggests legalization has reached a tipping point . About six in ten Americans favor legalization. Canna Law Blog asks: Is the end of federal prohibition finally here? Meanwhile, House Republicans blocked a measure to eliminate industry-hated tax rule 280E. For 420, the AP spoke to legalization proponents and opponents . A proposal for a public bank to serve cannabis companies advanced in the California legislature . Colorado Gov. John Hickenlooper wouldn’t rule out recriminalizing , if statistics linked legalization with higher crime. Denver raised pot taxes to fund affordable housing. A study found legalization reduced crime in Washington . In Michigan, Republicans continue to ponder legalizing REC before election day to improve their mid-term prospects. Ohio Attorney General Mike DeWine (R) rejected a REC ballot initiative for technical reasons. Pennsylvania will allow sales of flower . Arizona Gov. Doug Ducey (R) met with MED execs . Bills on MED packaging, recommendations and testing are in play in Arizona. Arizona lawmakers voted against people losing their jobs based on a test which supposedly can determine cannabis impairment based on an AI analysis of eye motion. Even the test developer, Zxerex, conceeded the technology isn’t ready. Inverse has a guide to state-by-state legalization in 2018 . Senate Majority Leader Mitch McConnell (R-Ky) is making a big push for hemp legalization , which he believes is in his political interest. Political scion, former congressman and anti-marijuana activist Patrick Kennedy profits from opioid makers and drug recovery firms , Politico reports. The Associated Press looks at the MED legalization initiatives in conservative states , Oklahoma and Utah. Utah cannabis activists say they have enough signatures for a MED vote . Canadian producers anticipate a REC shortage . 🍁For more subscribe to WeedWeek Canada . Numerous Canadian cities want to keep out REC businesses . 🍁For more subscribe to WeedWeek Canada . Australia does not appear ready to legalize REC. 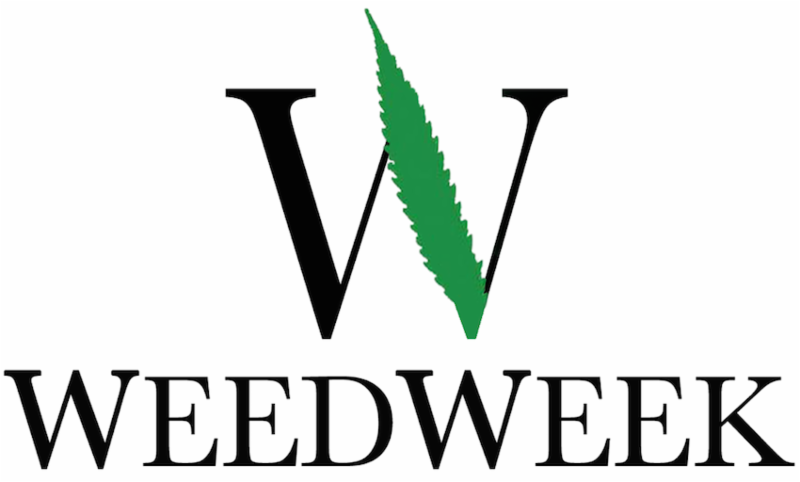 FDA’s staff support approval for Epidiolex, the CBD epilepsy drug from U.K.-based GW Pharma. The next step is for outside advisors to weigh in. If approved it would be the first marijuana derived medicine to win FDA approval and could lead to future drugs. (Synthetic THC was approved decades ago.) The agency is expected to make its final decision on June 27. I n one of the highest-profile cannabis investments to date, New York firm Tiger Global, which has $22 billion under management, led a $17M round in Green Bits, (Business Insider) a software platform for dispensaries. Snoop Dogg’s Casa Verde Capital also participated. For more see Fortune . An investigation by the Journal de Montreal (French) found millions in funding for Quebec marijuana companies came from offshore banking havens ( Les paradis fiscaux .) 🍁For more subscribe to WeedWeek Canada . Publicly-traded Scotts Miracle-Gro continued its push into hydroponics with the $450M acquisition of Washington-based Sunlight Supply , the largest US distributor. Flow Kana says it has opened the world’s largest cannabis processing facility in Mendocino County, Calif. For more see Wired . A Colorado extraction company has sued Colorado-based edibles maker Wana brands for allegedly stealing information it obtained in what the extraction company says were merger talks . Wana, which has operations in four states, says the case is without merit. Vivien Azer, an analyst at Wall Street firm Cowen says legalization could drag on the beer market . Azer predicts the cannabis industry will reach $75 Billion by 2030. Harvard Political Review says big pharma remains an obstacle to legalization . California growers are replacing white “trimmigrants” with less expensive immigrants. Even in Colorado, cannabis is only a tiny fraction of the state economy. Oregon has way more weed than it can smoke . Amsterdam-style coffeeshops are opening in California . 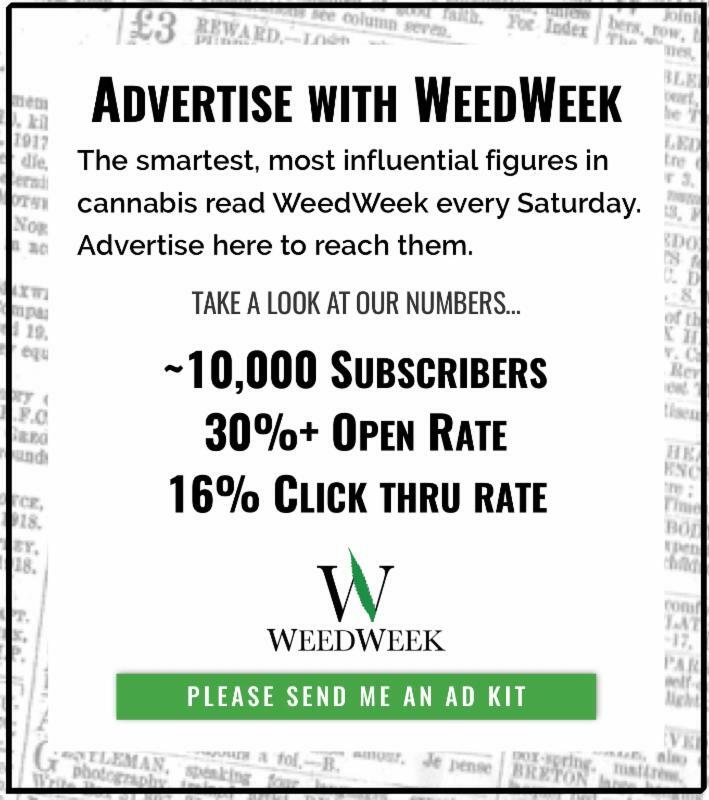 Advertising remains a problem (Axios) for cannabis companies, even as 420 goes mainstream (AdWeek). 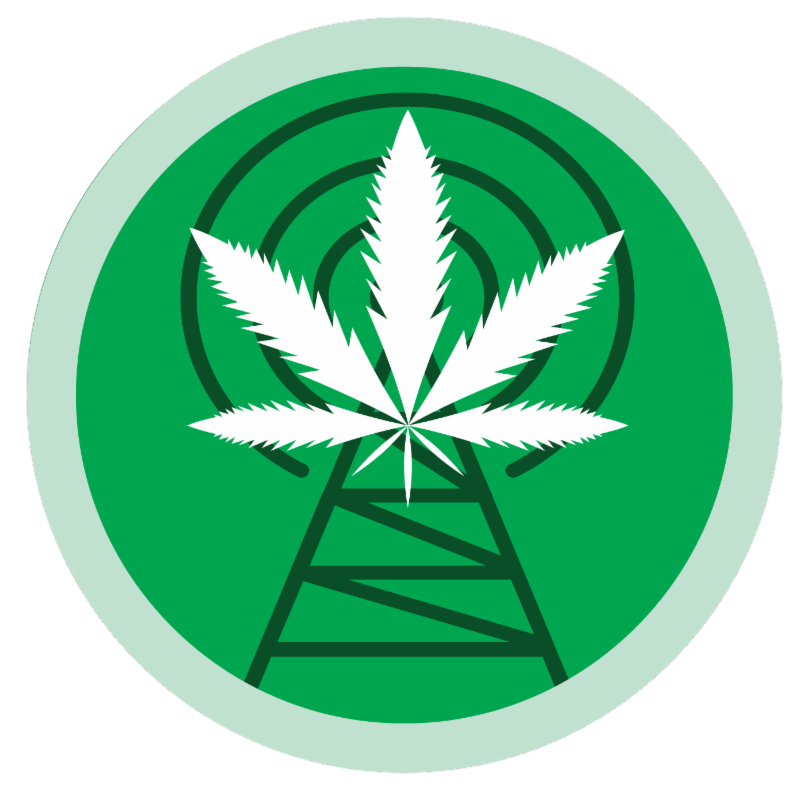 Boston public radio spoke to Bill Marcus, partner at Green Table, a cannabis networking firm with a focus on Wall Street executives . Beleagured Denver tech company MassRoots revealed a 2017 net loss of $44M on revenue of $320,000. It’s ability to continue operations is in doubt. With oil and gas in a slump, Calgary is looking to the cannabis industry . 🍁For more subscribe to WeedWeek Canada . Israeli company Tikun Olam announced a partnership with Pennsylvania grower Ilera Healthcare. 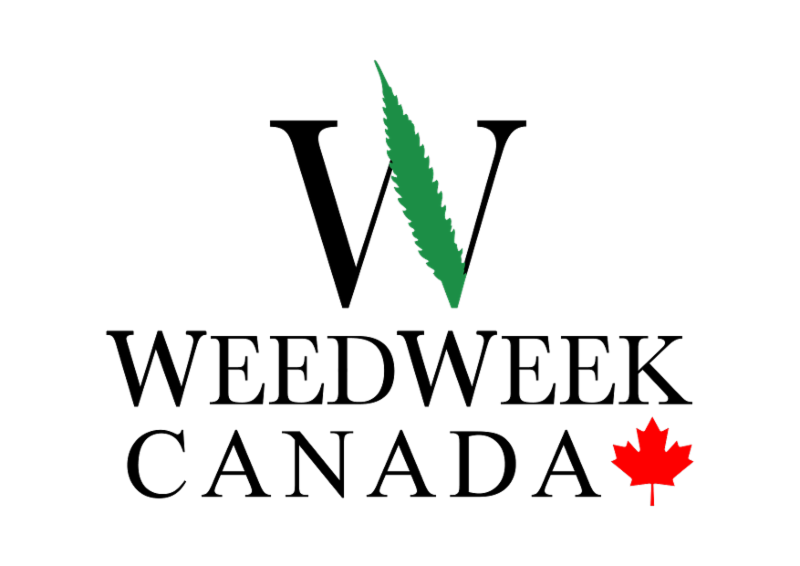 Israeli company made a deal to sell 5 tons of cannabis oil to an unnamed Canadian company. 🍁For more subscribe to WeedWeek Canada . A Canadian head shop advertised a “ free weed for a year contest, ” but it’s probably not legal. Yesterday, Lyft offered $4.20 discounts in select legal cities. Dr. Sanjay Gupta, the CNN journalist whose previous MED documentaries have been influential in swaying public opinion to favor MED, has released Weed 4: Pot vs. Pills . At an addiction conference, policy experts remain wary of MED as an “exit drug” for opioids. The CDC found young men are the heaviest cannabis users . In The Guardian, I wrote about parents who use cannabis . Scientific American looks at the science behind the rat poison-tainted synthetic marijuana -- “the spice of death” -- which has sickened more than 100 in recent weeks. Synthetic marijuana is man-made chemicals which target the same receptors in human cells and can cause severe health problems even when it isn’t tainted. A water management company says legalization could create water shortages . Public radio spoke to some of the first doctors licensed to recommend MED in Ohio. Some high schoolers in New York City receive non-abstinence oriented drug education . In The New Yorker, Sara Davidson meets seniors who’re on-board with weed . A state proposal would make it harder to access CBD in Texas. Cosmopolitan features a woman’s seven-day microdosing diary . Lena Dunham’s visit to a dispensary led to speculation that she uses it to treat pain associated with endometriosis. In February, she chronicled her experience with the condition in Vogue. A report obtained by a New Zealand media outlet found dark web drug trafficking to be on the rise worldwide. Vox explains why legalization won’t solve mass incarceration : Most-prisoners serving long sentences were not convicted of cannabis-related crimes. A story in The New Yorker looks at a maraschino cherry factory with a secret pot grow . Tulsa, Okla. police set up a 420 traffic checkpoint. FDNY no longer has a zero-tolerance drug policy . Canada’s Liberal Party is considering decriminalization of all drugs . 🍁For more subscribe to WeedWeek Canada . British Columbia authorities worry the Hell’s Angels have acquired grow licenses . 🍁For more subscribe to WeedWeek Canada . The California high schoolers, now in their sixties, credited with coining the term 4/20 , wonder if they can cash in on the green rush. Read the whole Associated Press piece, which includes the detail that 420 was added to the Oxford English Dictionary last year. California delivery app Eaze released a survey of almost 5,000 customers, which shows cannabis users are more comfortable being open about their use with family and less comfortable with bosses and on social media. The San Diego Union Tribune writes up the findings . The High Times Cannabis Cup in San Bernardino, Calif. was denied a consumption permit . L.A. Mag revisits the locations of 1978 stoner comedy “Up in Smoke” with Cheech and Chong. The Inland Empire town of Jurupa Valley, Calif. is in a dispute with a marijuana church it believes is an unlicensed dispensary. California warned dispensaries not to participate in unlicensed 4/20 events. The Verge says it’s OK to call the plant marijuana . In what may be the first pro sports/cannabis partnership, soccer team Las Vegas Lights will be sponsored by a dispensary. Boston public radio reports on athletes who use cannabis to supplement their workout . October pairs craft cannabis and craft beer . Denver’s 420 festival raised questions about whether it should be a day for activism or industry-sponsored celebration . A 420 celebration at Oxford University where people were supposed to go as their favorite stoner icon was cancelled amid concerns about cultural appropriation and blackface. A stoned raccoon amused some firefighters in Indiana. In another kind of WeedWeek, the town of Victorville Calif., was overwhelmed with tumbleweeds which piles up in hills on front yards and blocked some residents from leaving their homes. An Oregon grower has developed a strain named Markle’s Sparkle, for his aunt Meghan who’s about to marry Prince Harry.